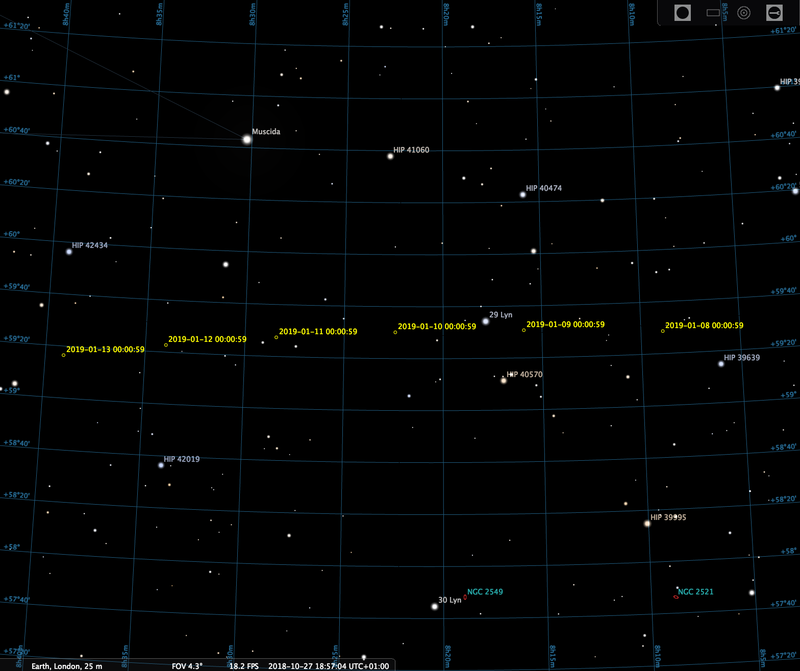 How do I find Comet 46P/Wirtanen in the sky? 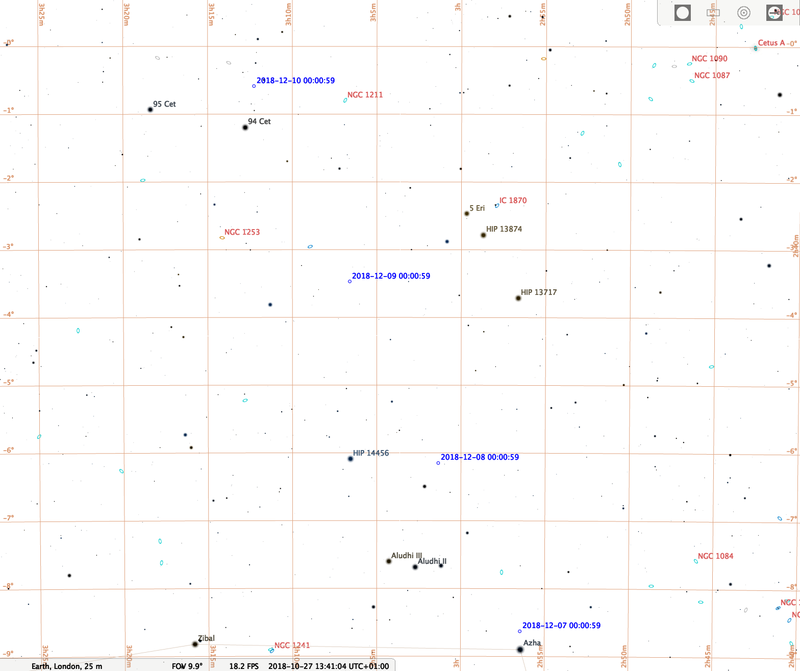 We have generated1 a series of finder charts that show where comet Wirtanen is located with respect to the stars from November 2018 through February 2019. 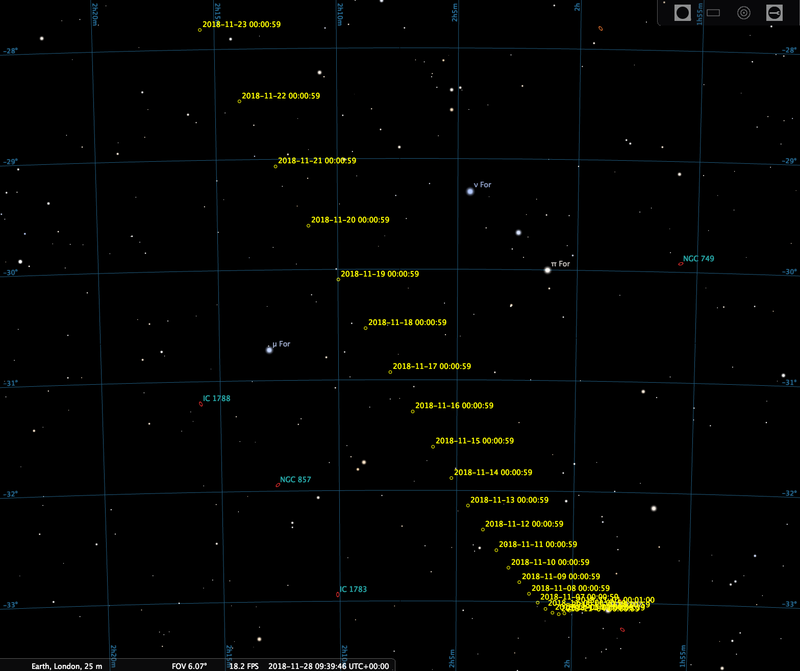 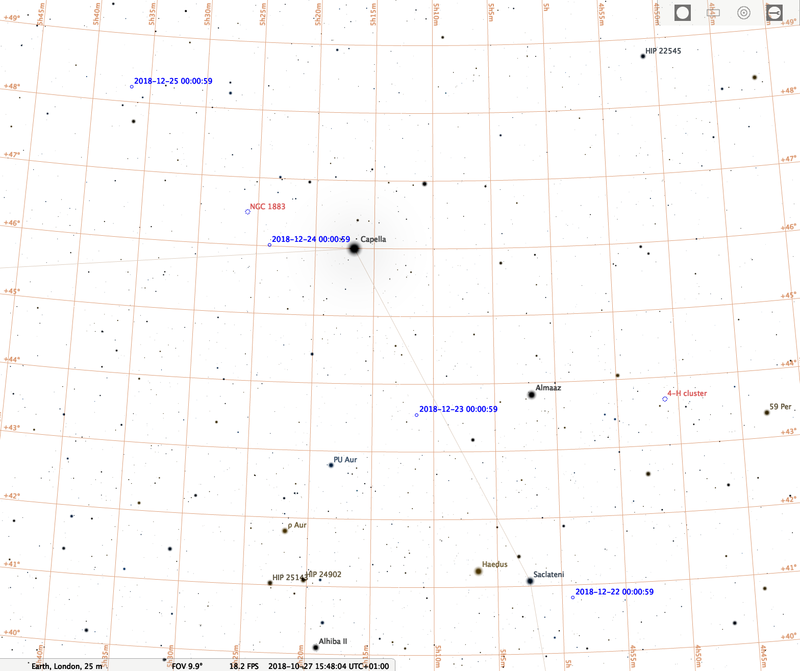 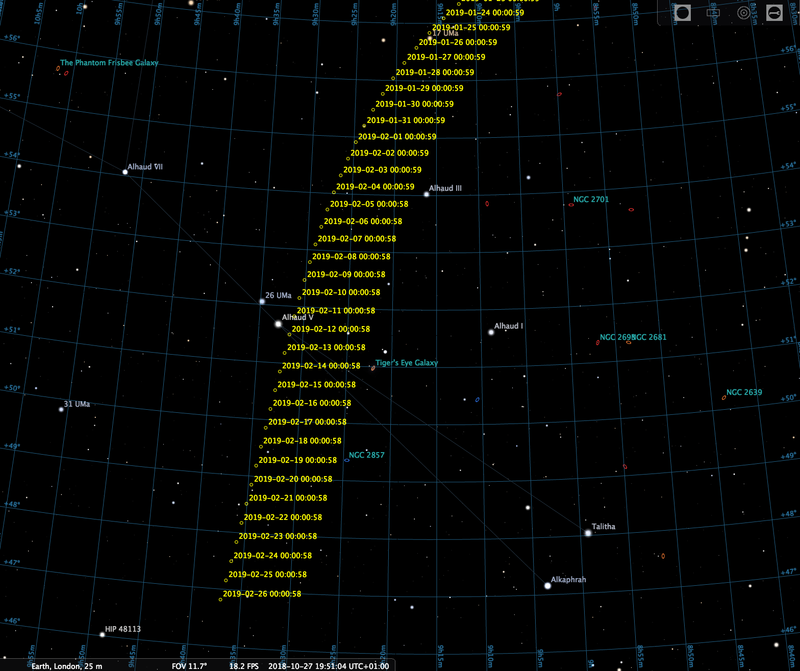 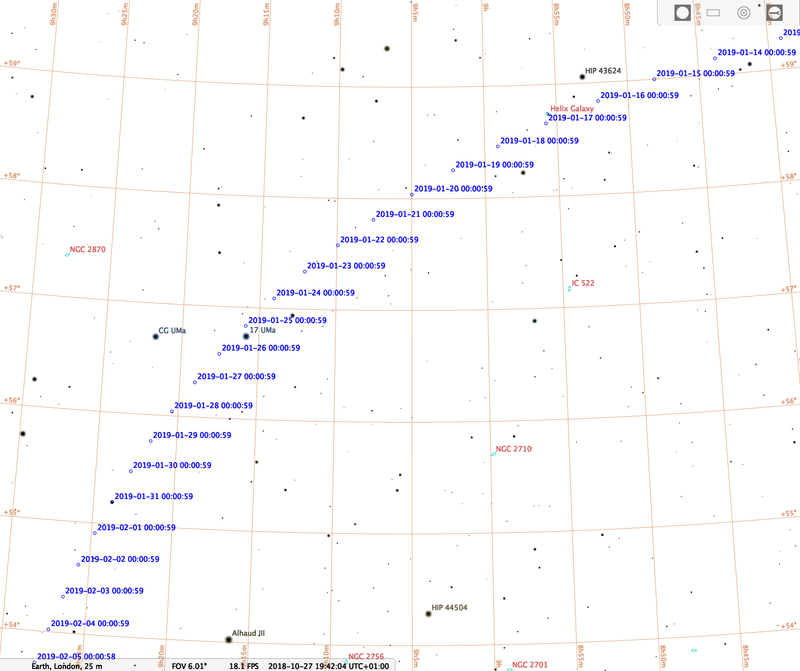 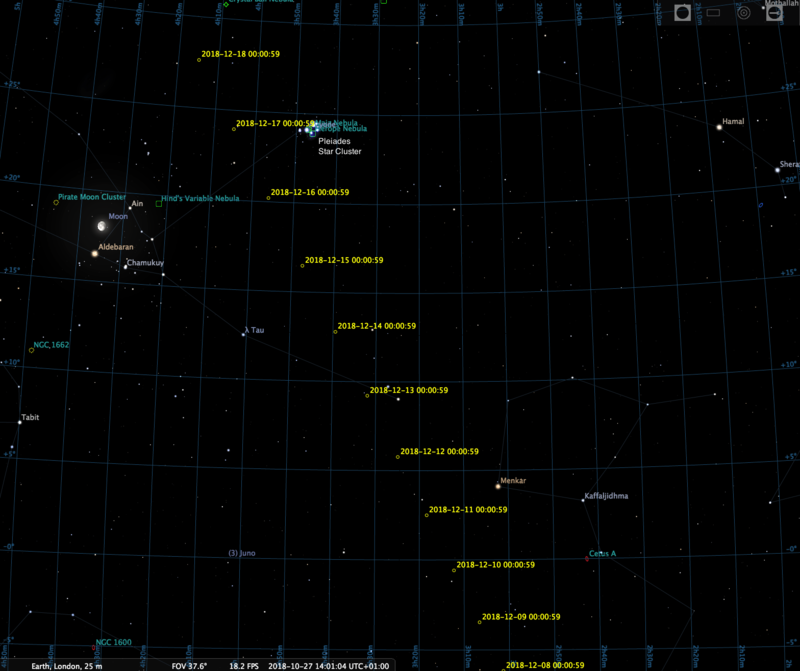 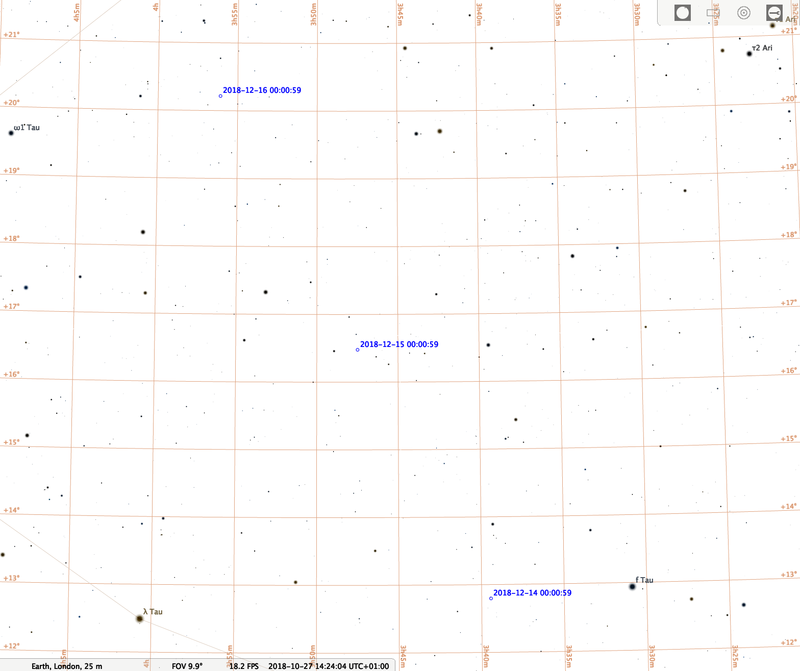 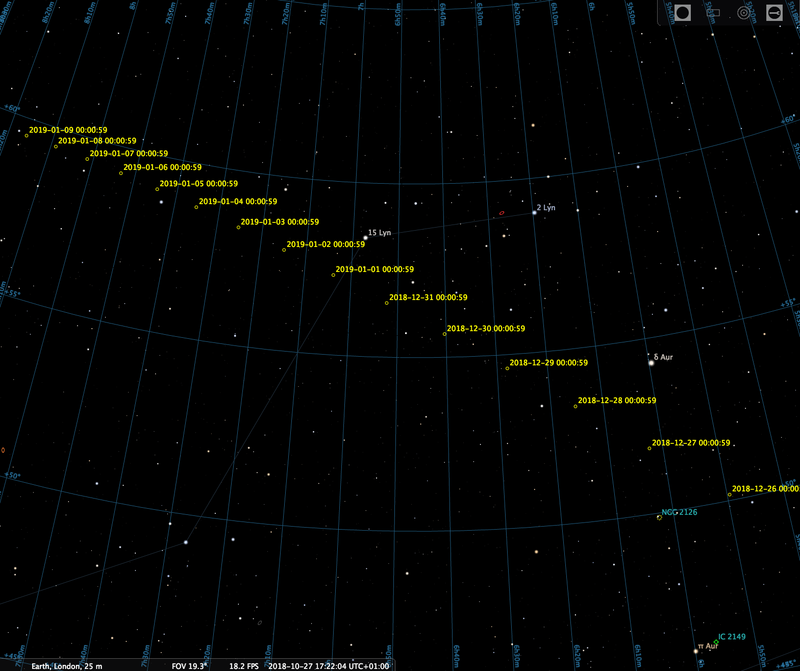 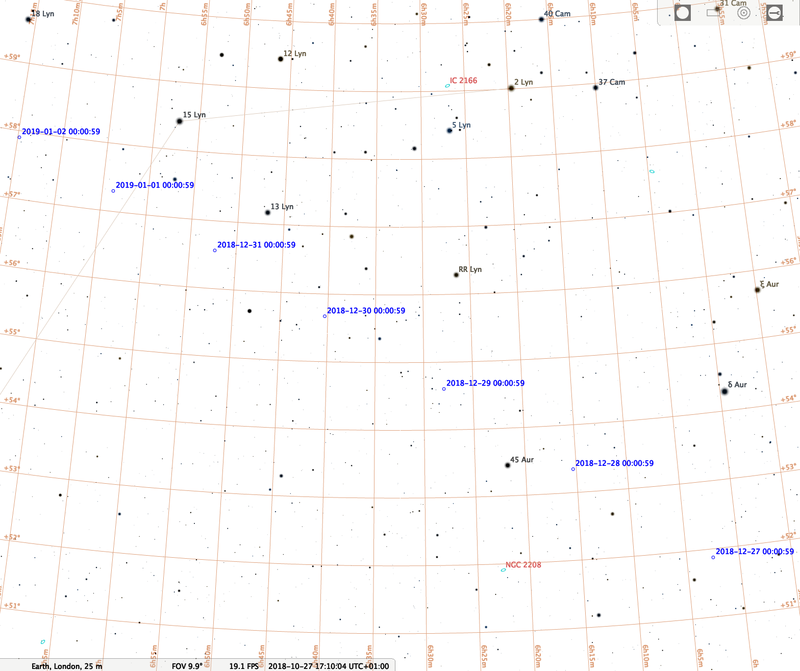 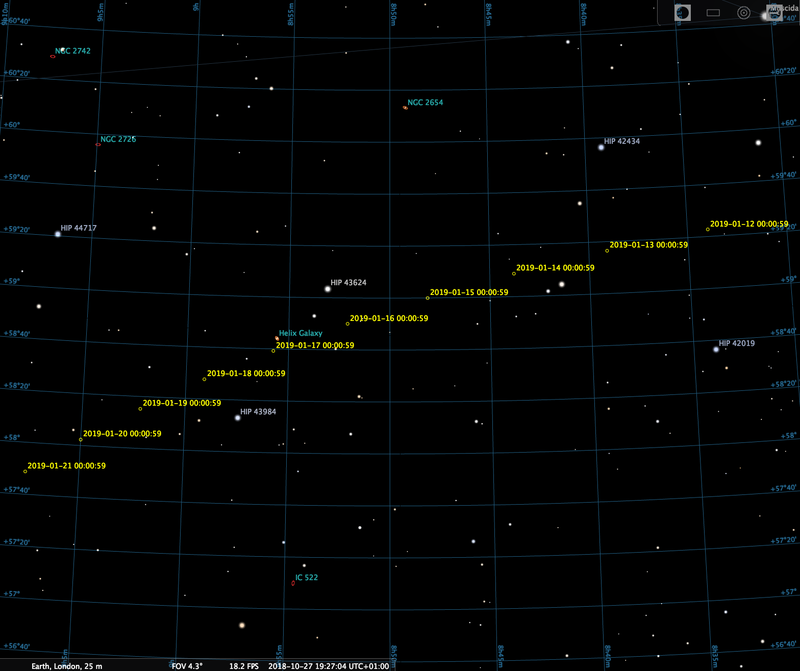 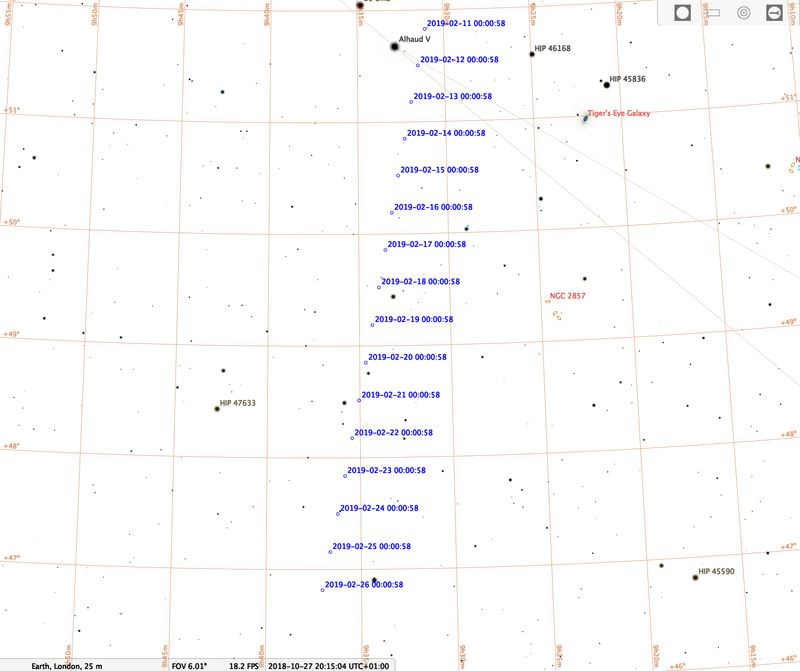 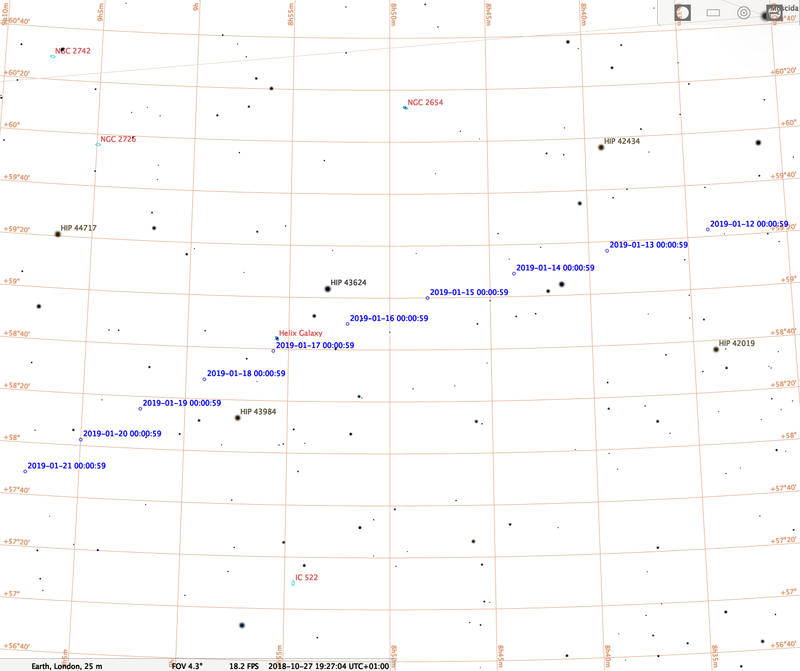 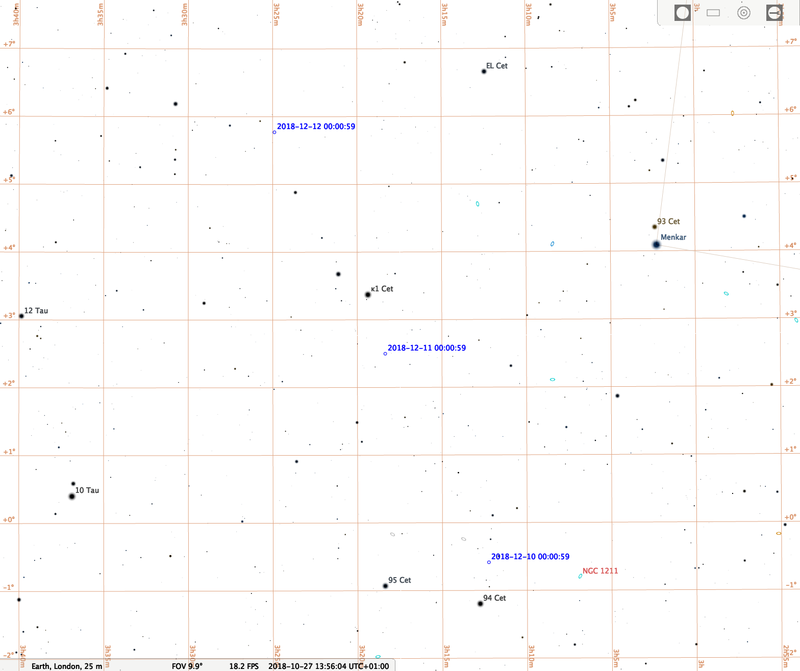 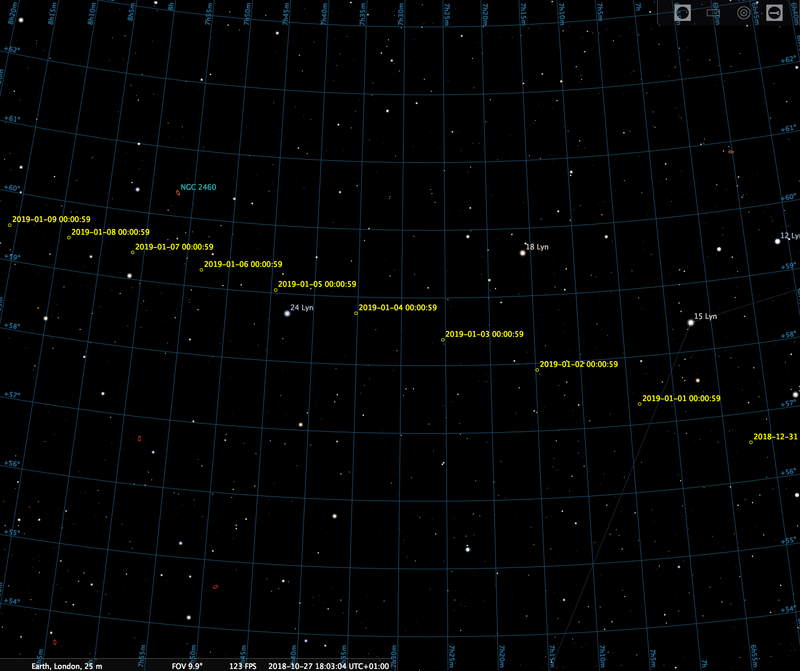 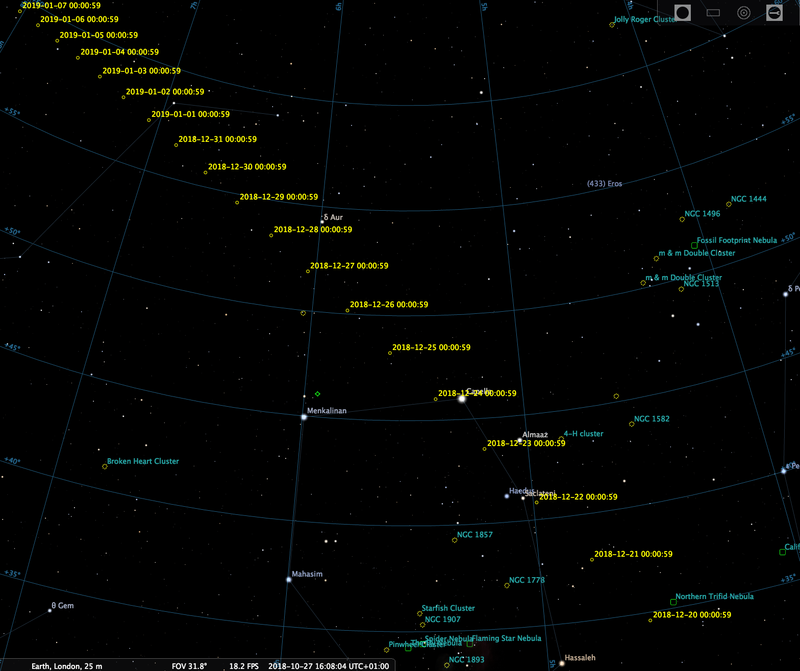 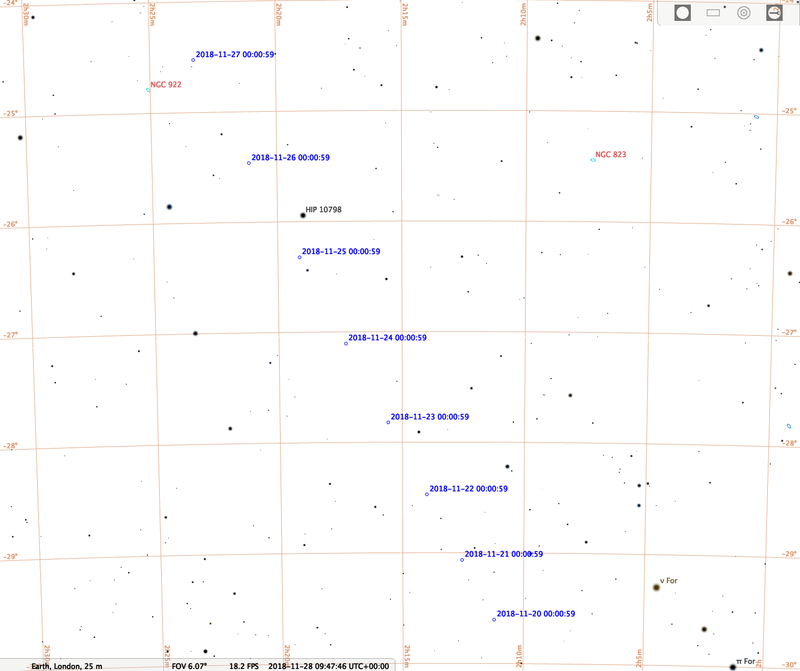 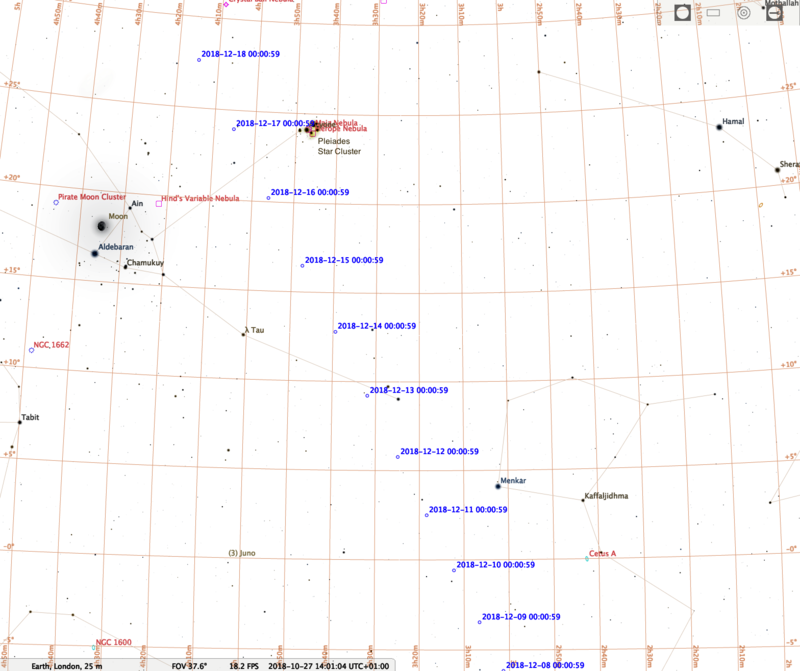 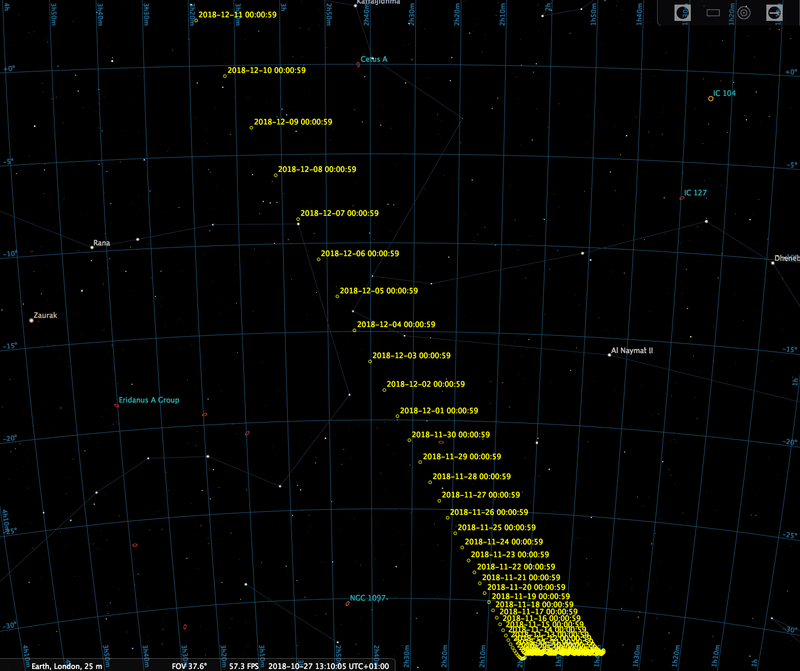 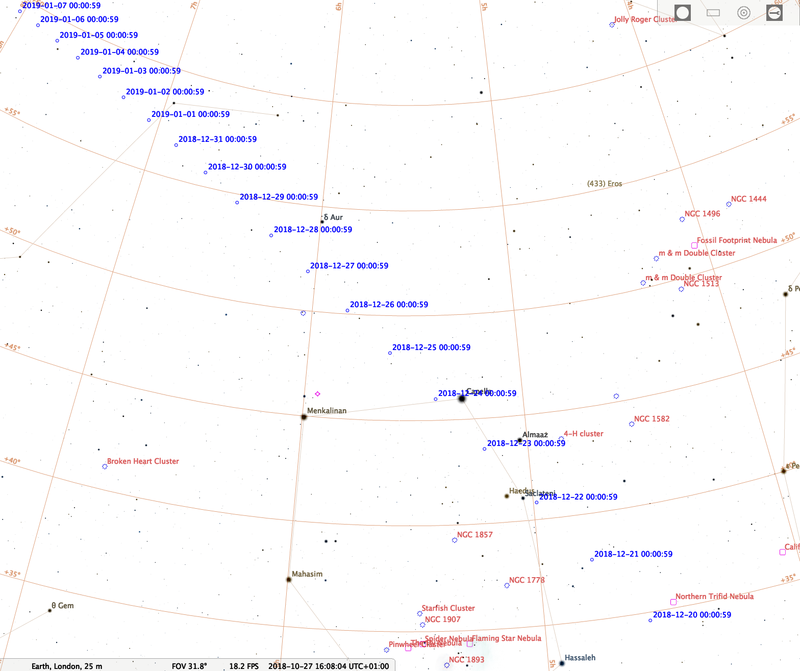 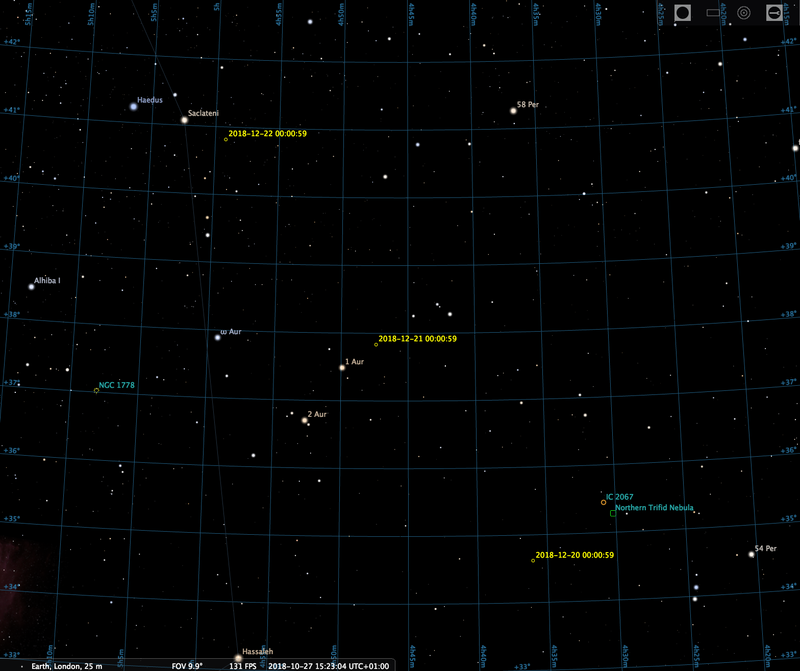 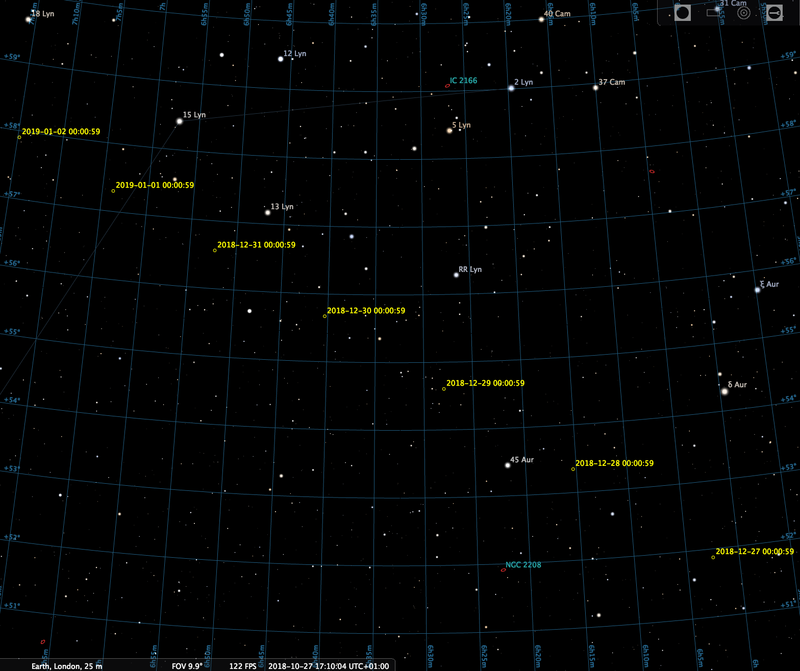 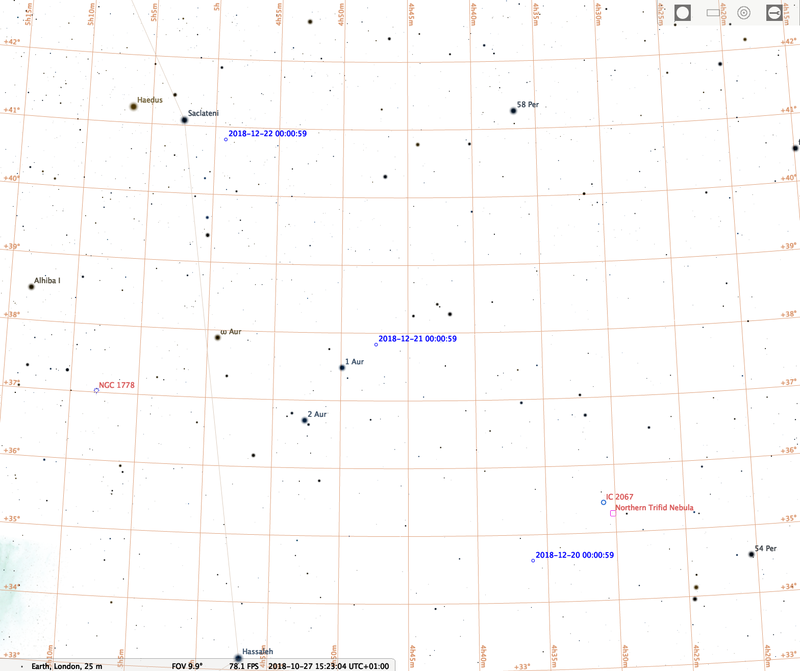 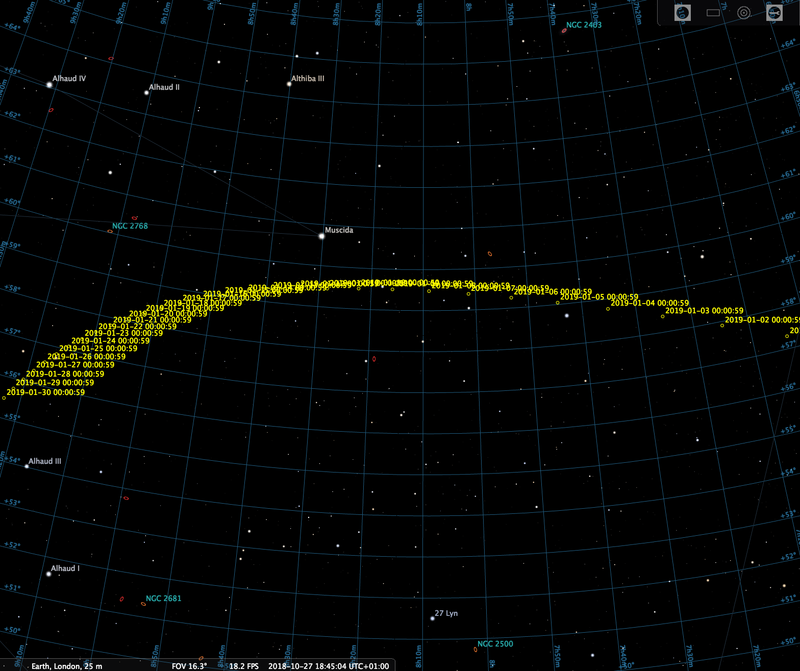 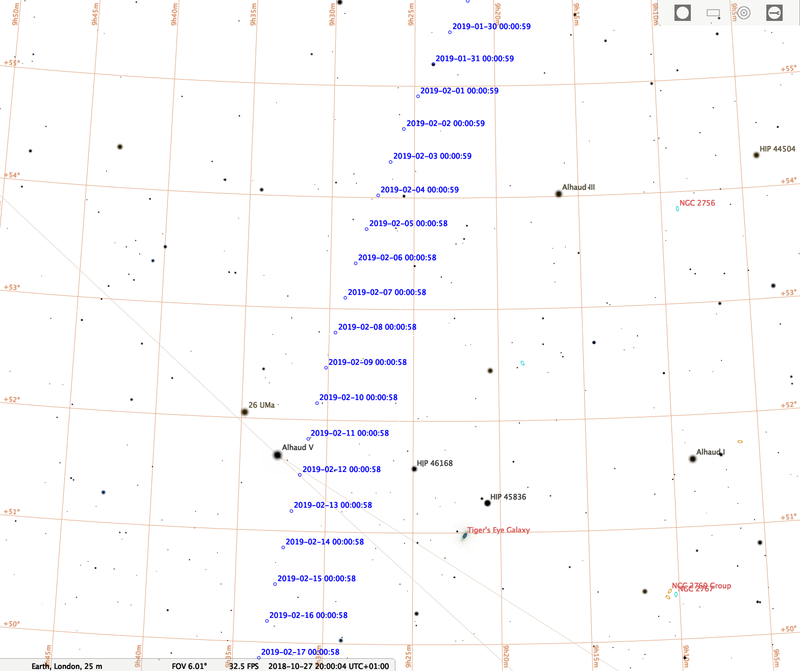 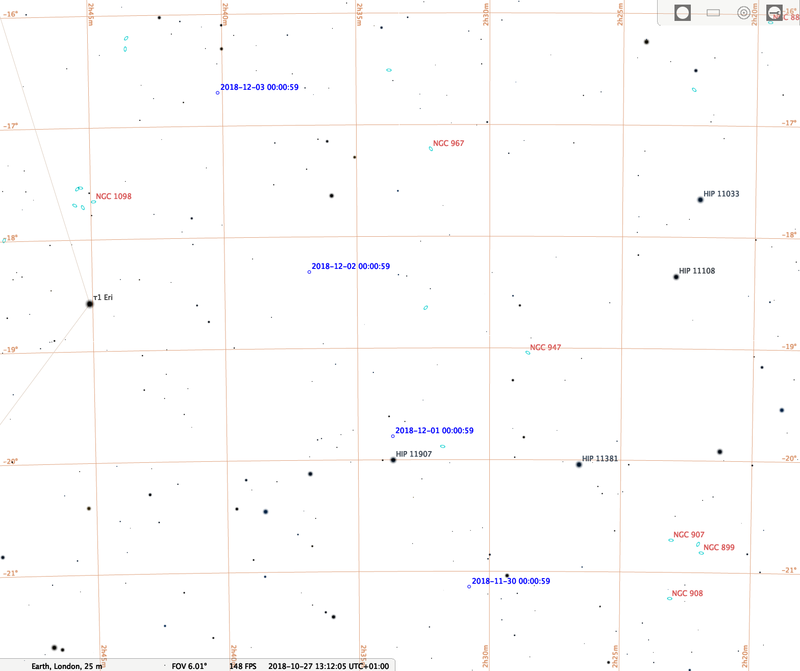 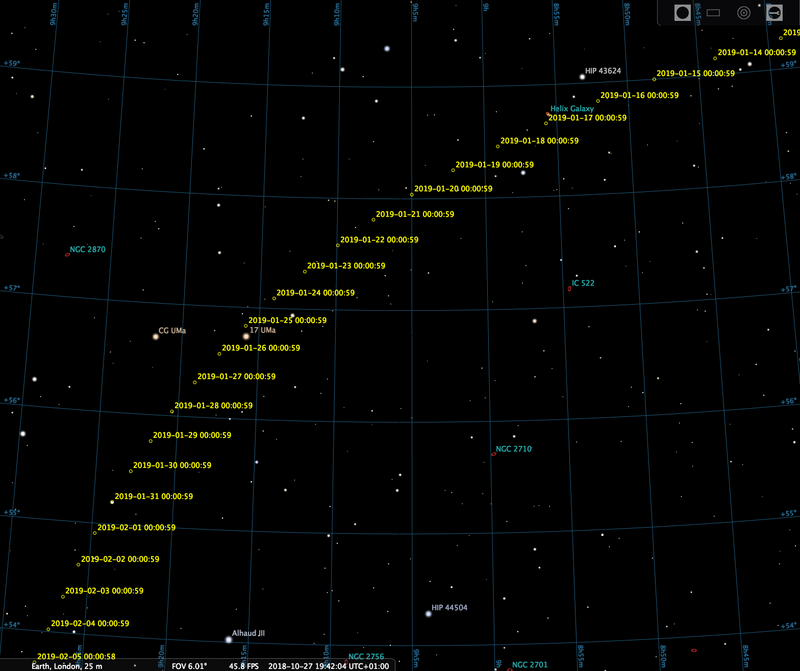 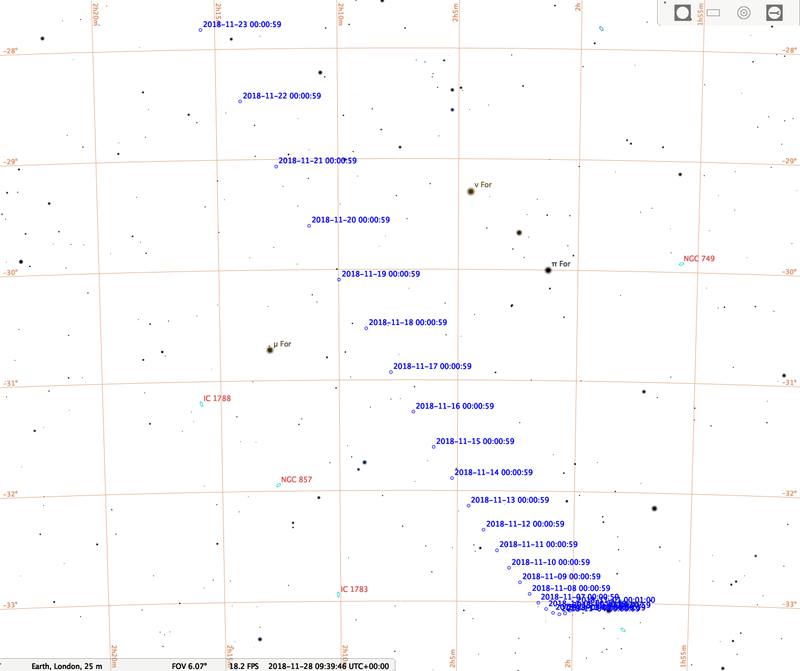 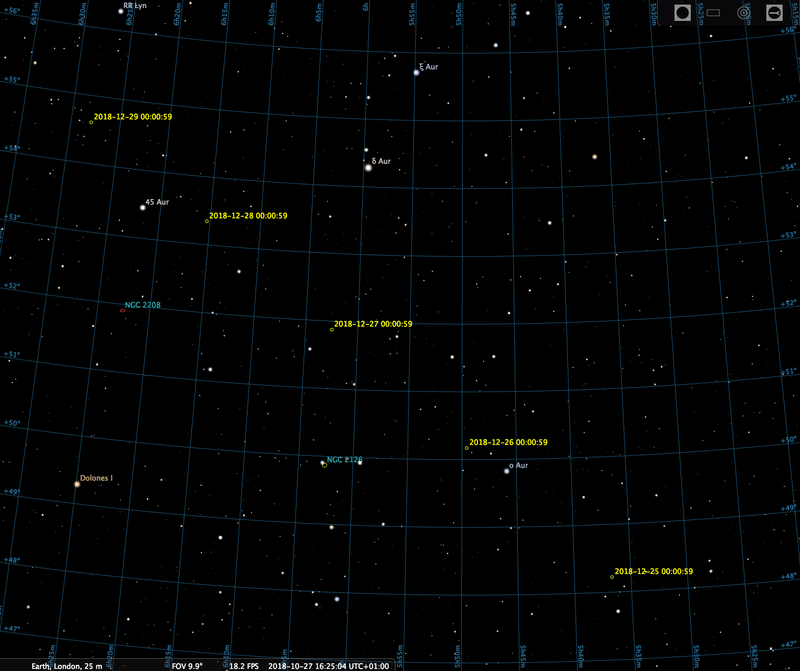 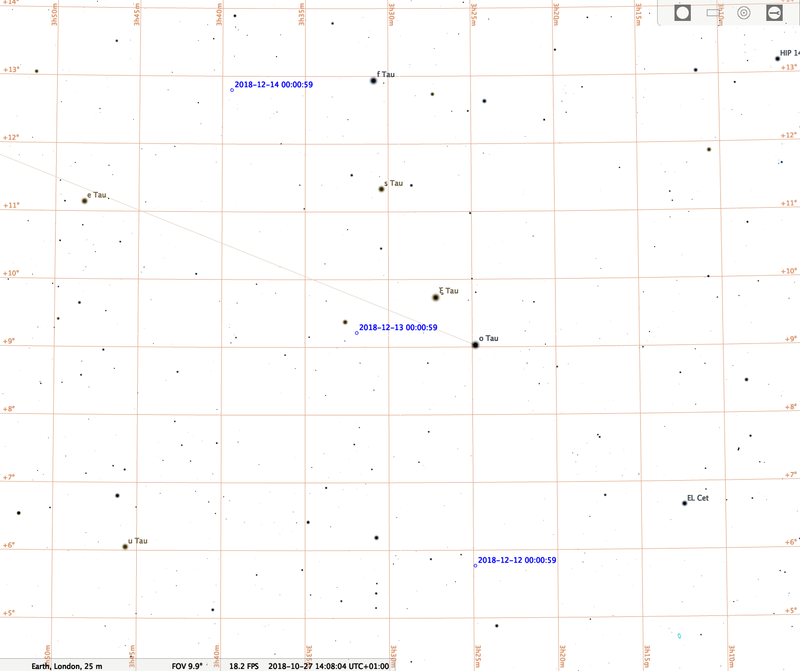 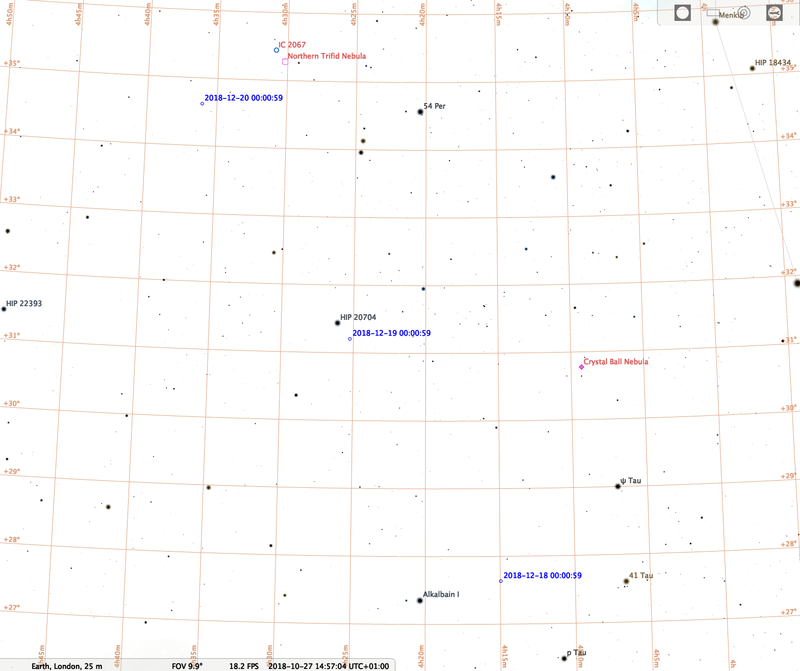 Each chart has indicator circles, labeled with the date marking the comet's position at O hr Universal Time. 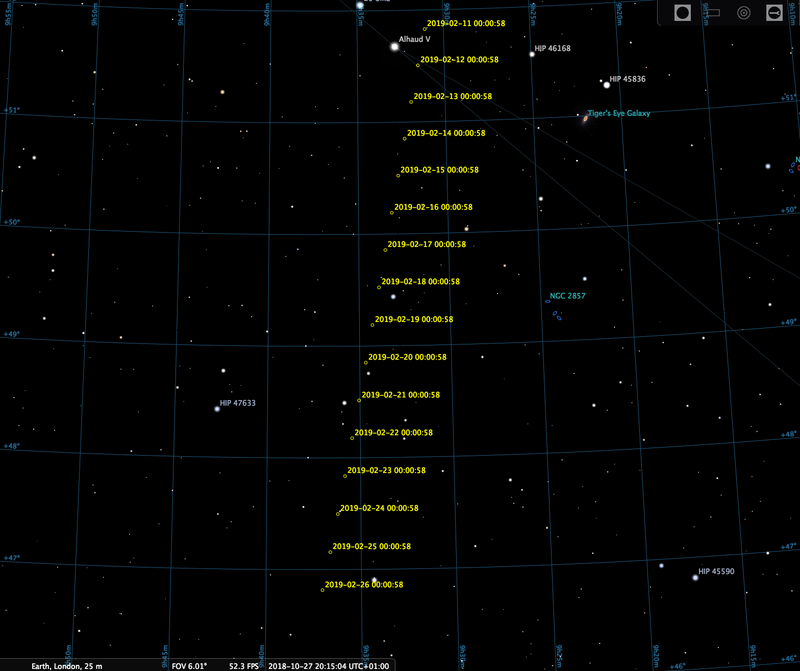 Throughout the day, the comet will progress toward the next indicator point. 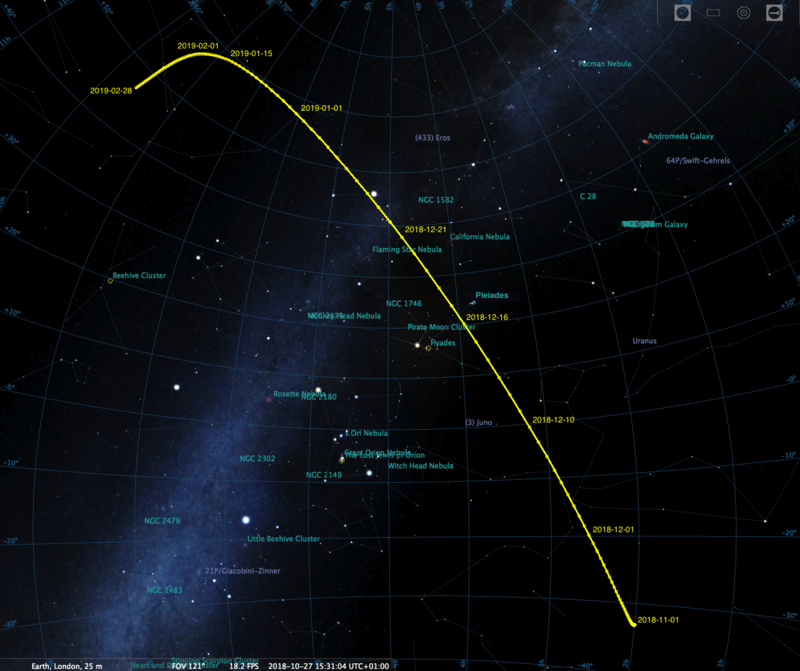 You'll need to adjust for your time zone and the time of day for the exact position, though the comet is bright enough that it should be visible once you get close to the general position. 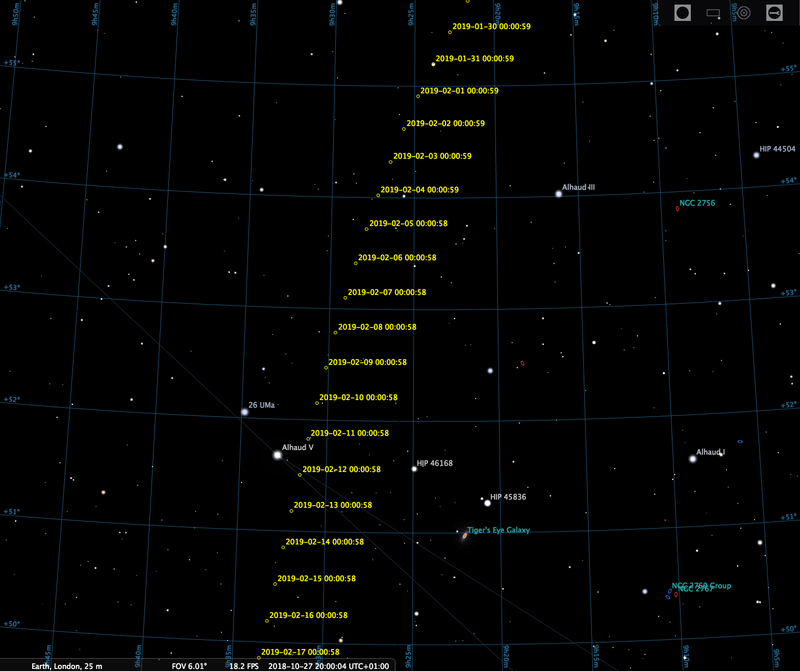 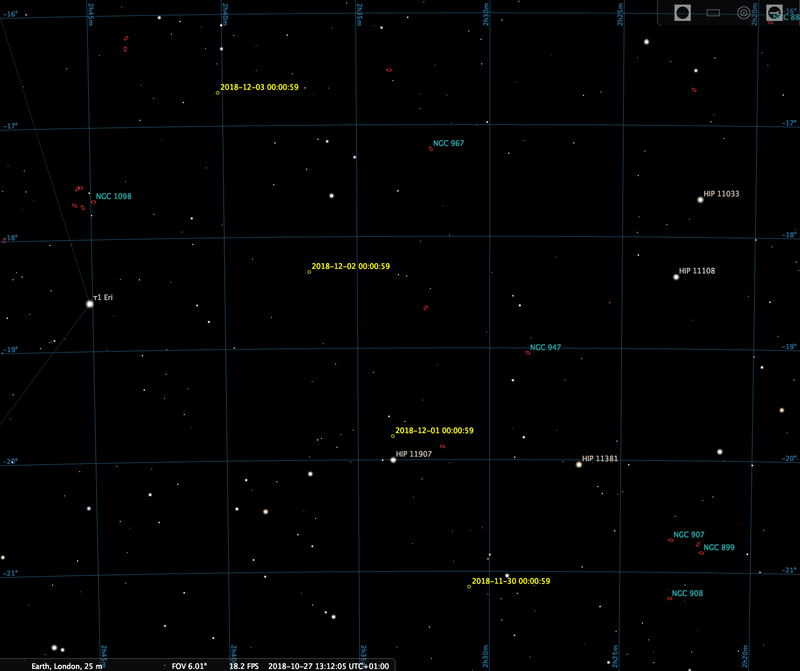 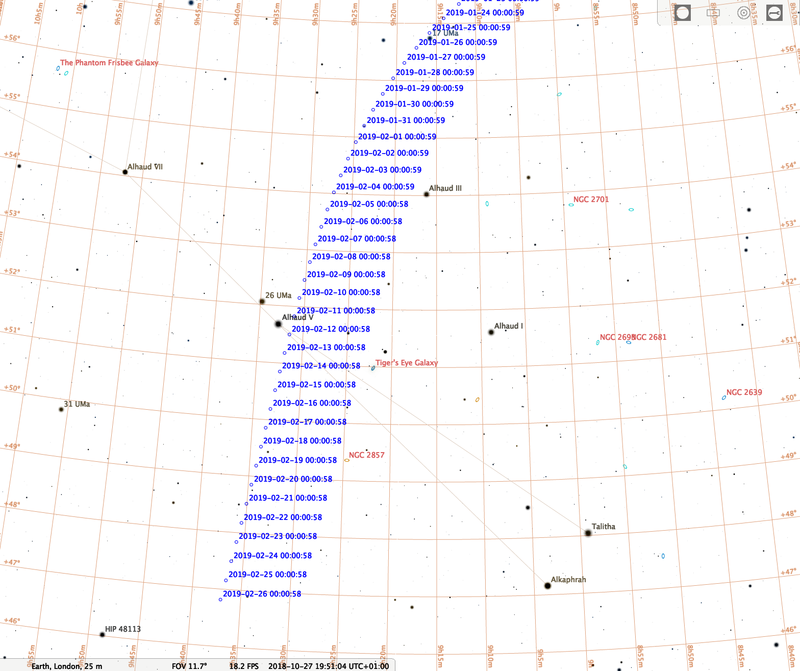 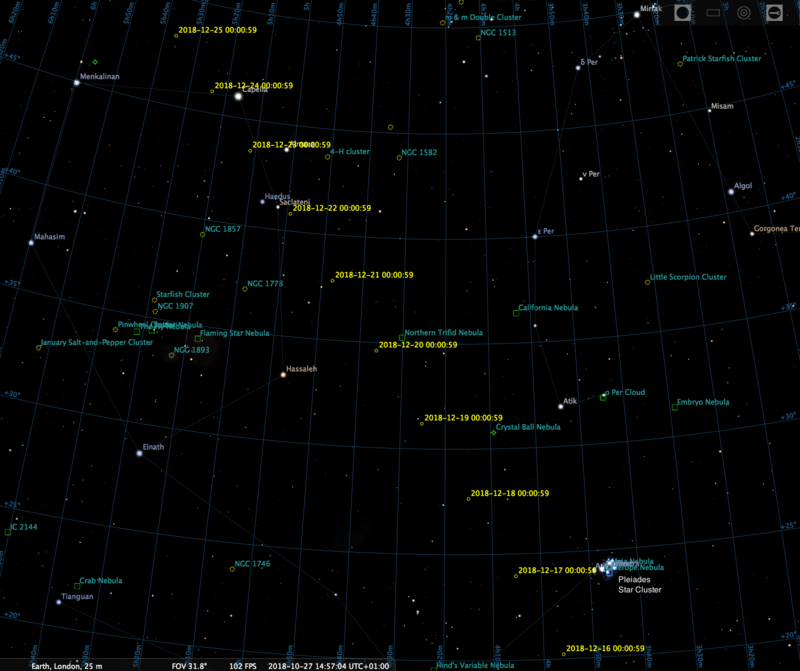 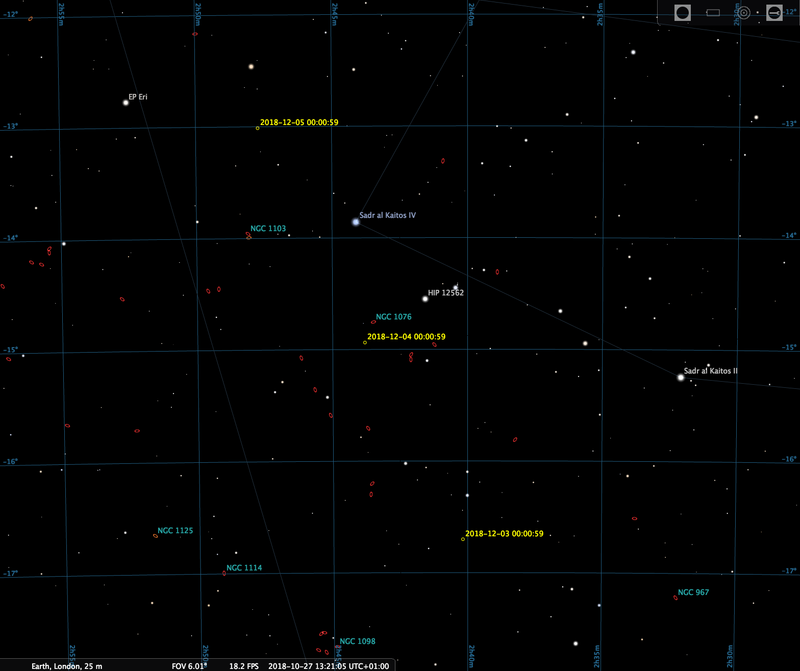 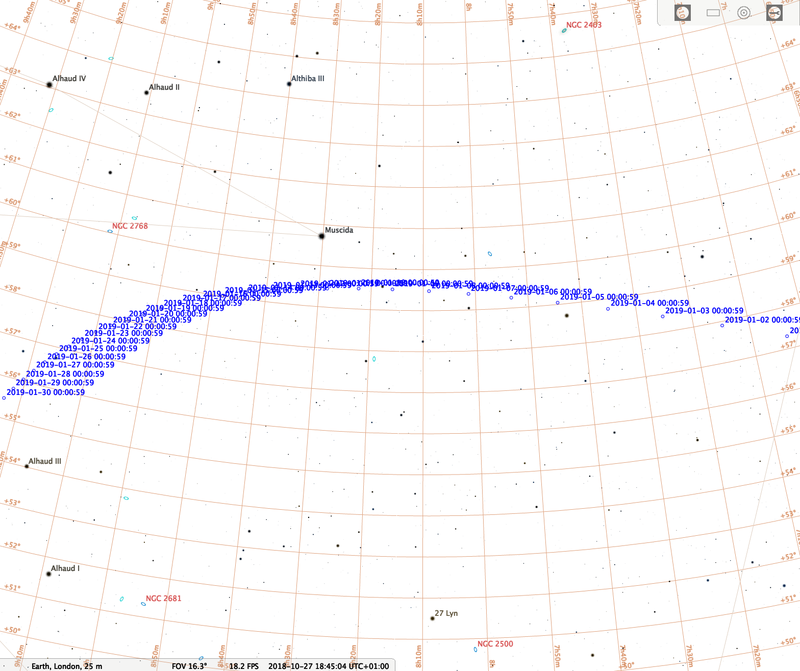 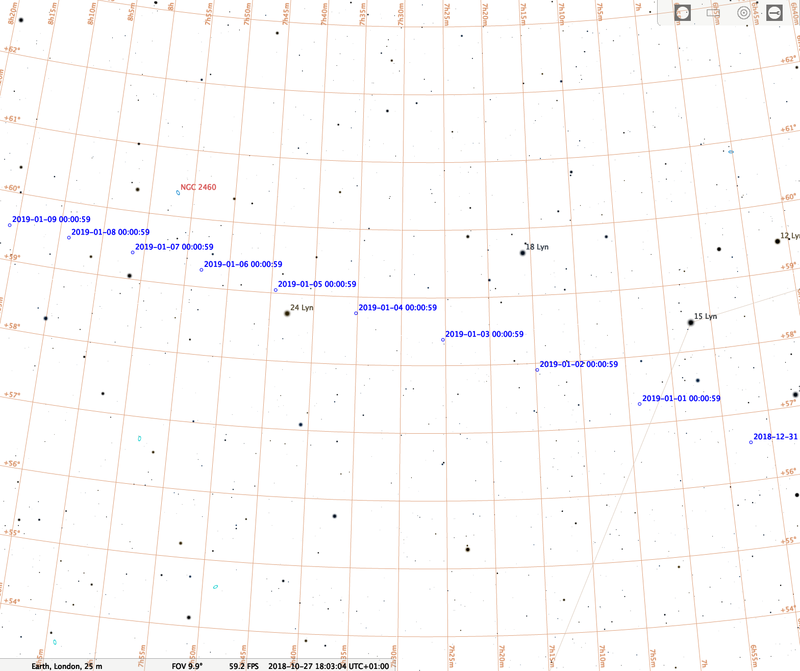 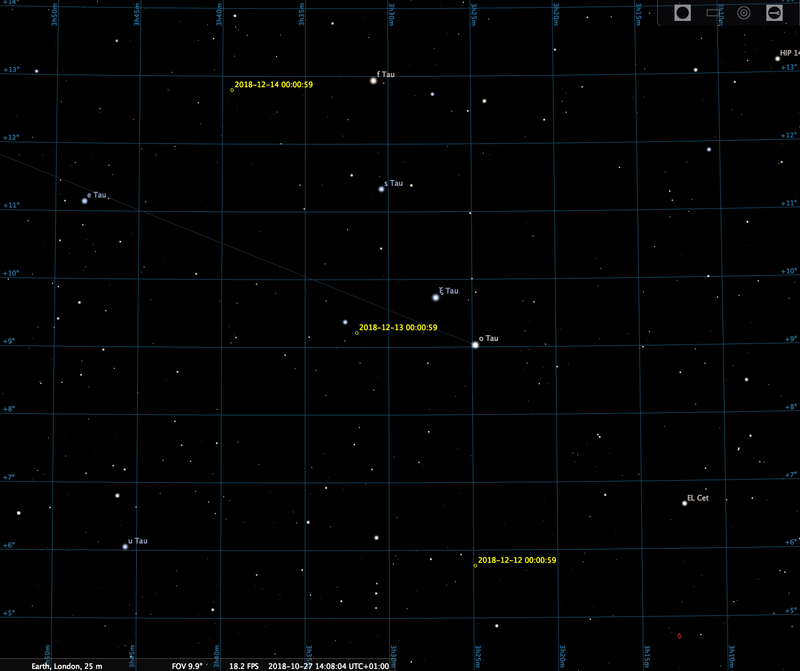 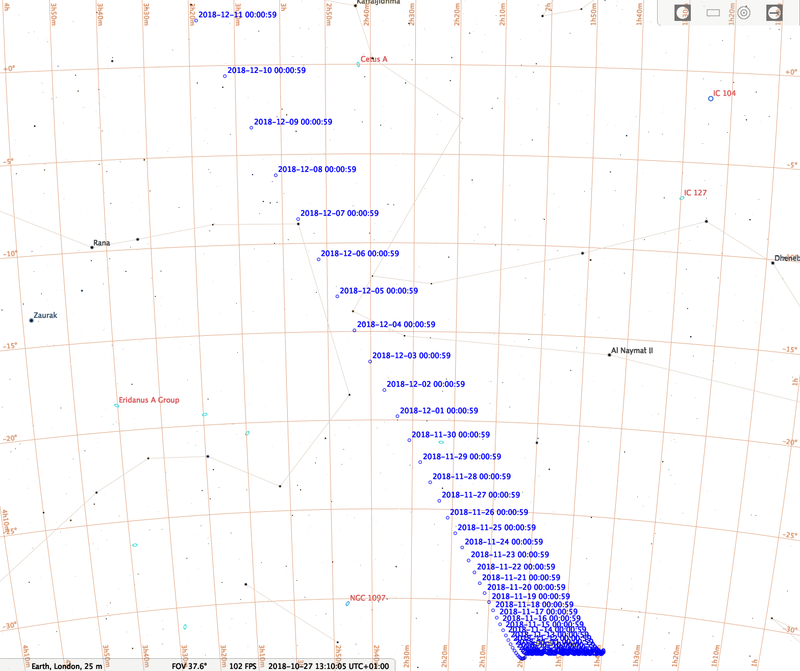 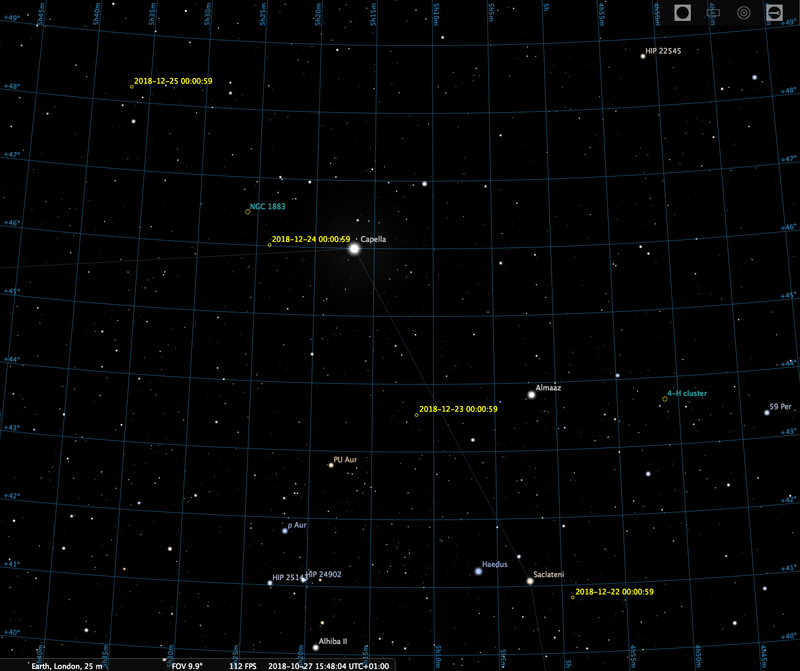 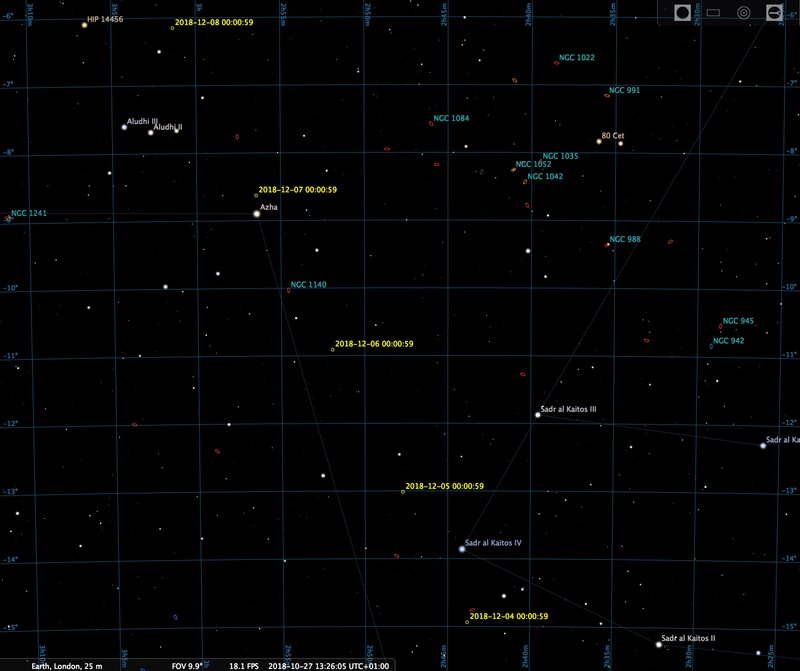 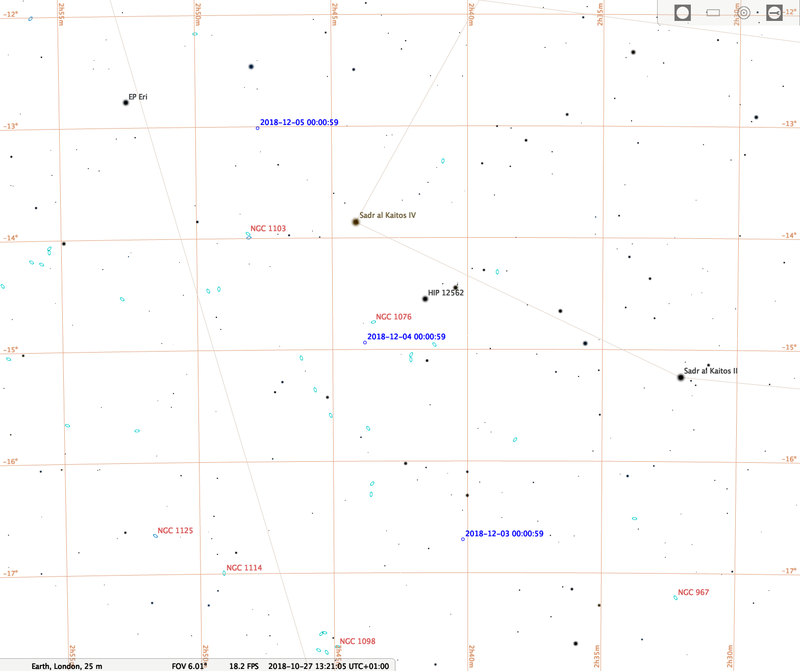 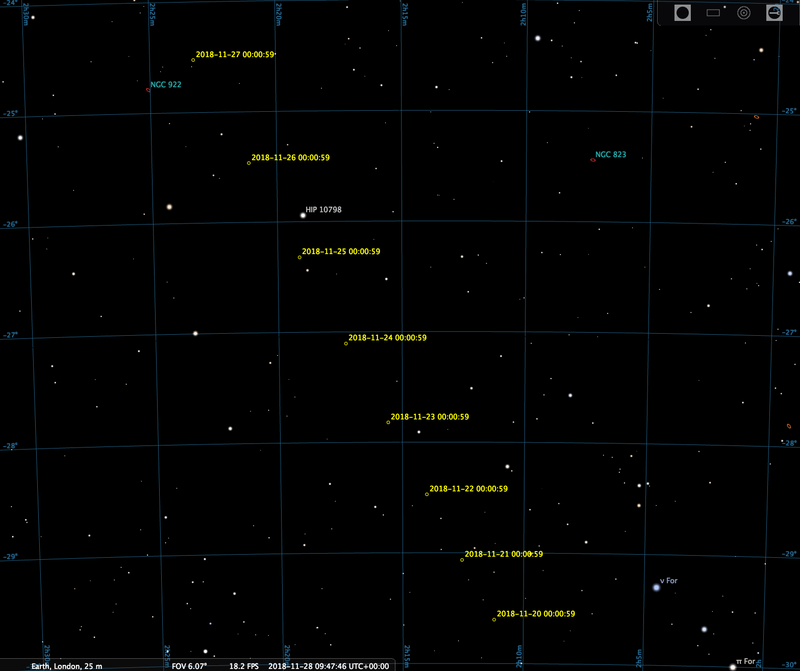 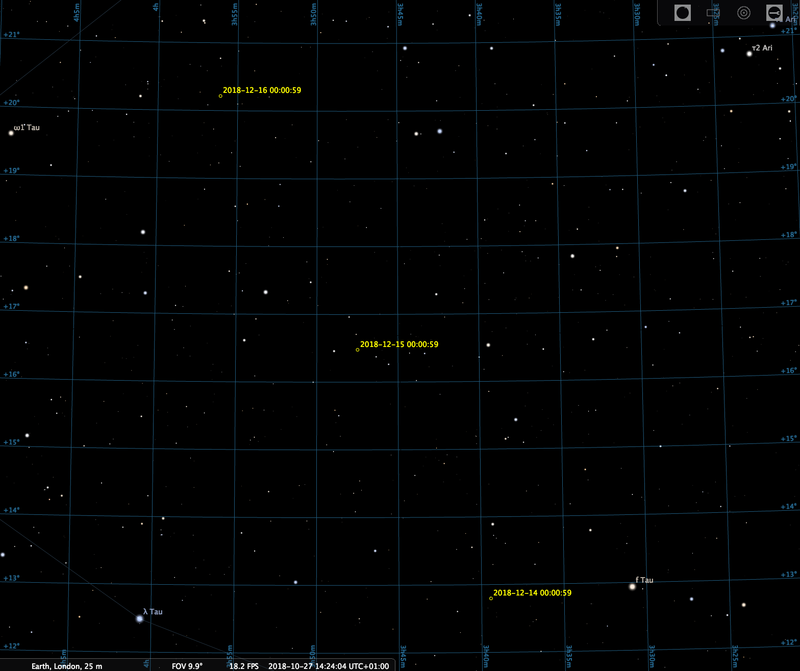 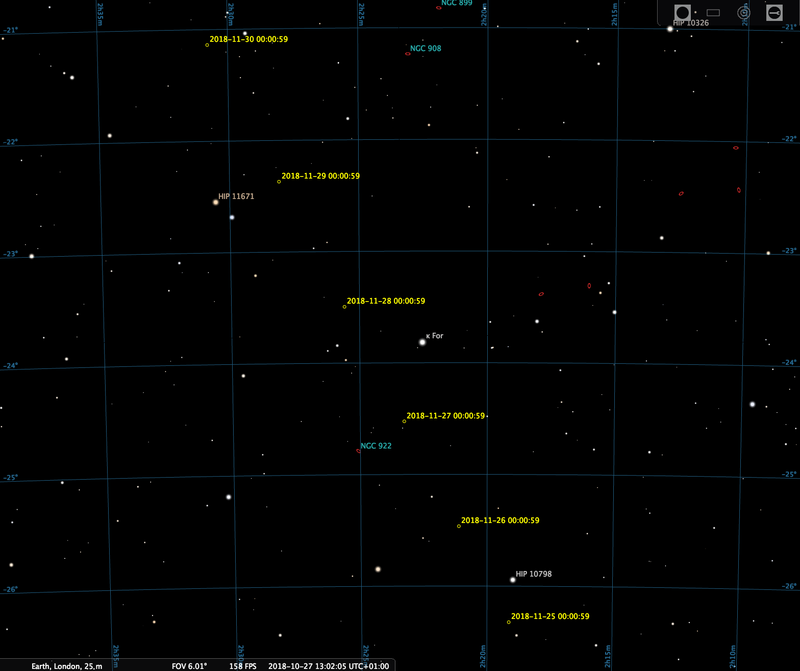 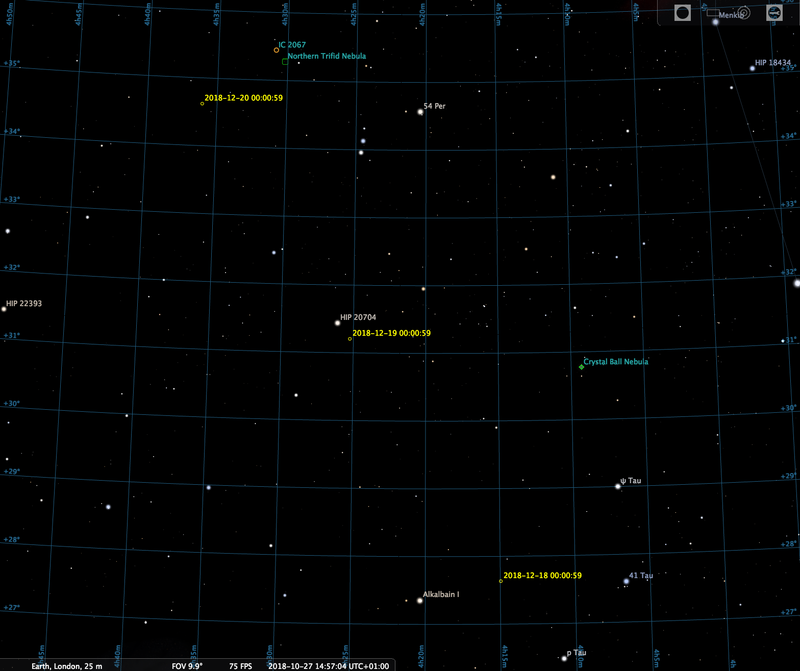 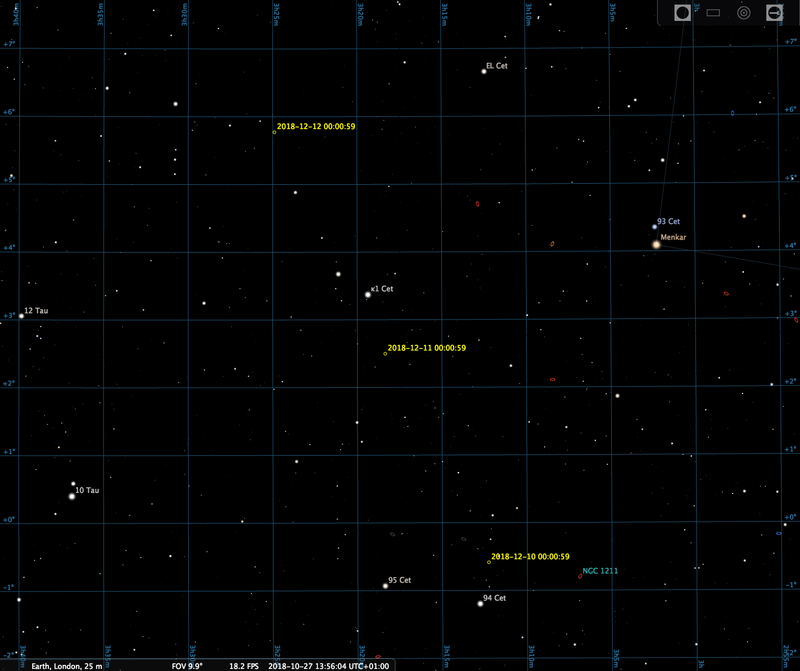 Lines of Right Ascension and Declination (J2000) are shown, with labels along the periphery, to help in locating the comet. 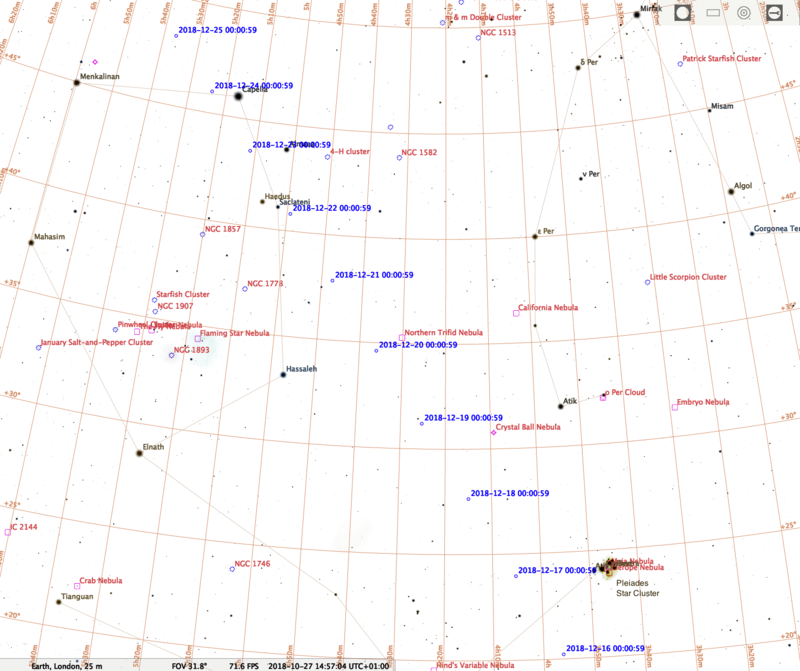 Constellations are given in the table below. 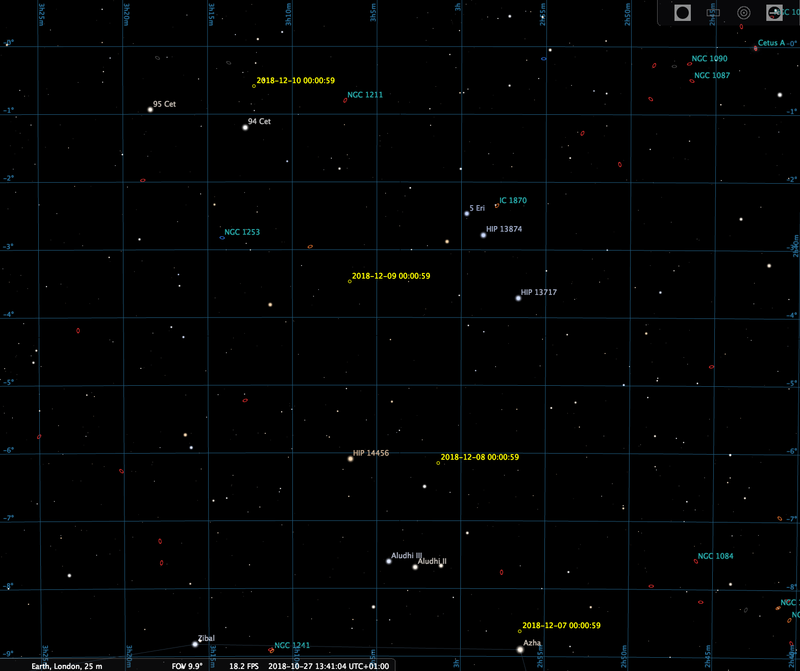 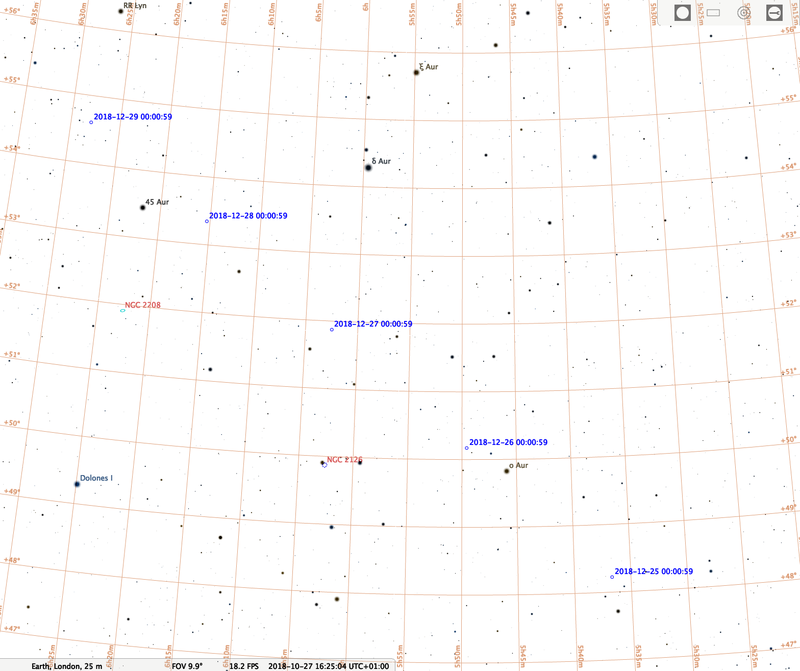 We've provided two sequences: one with a larger field of view that shows more stars for zeroing in on the postion, and a zoomed-in version that can be used to refine your search, if needed. 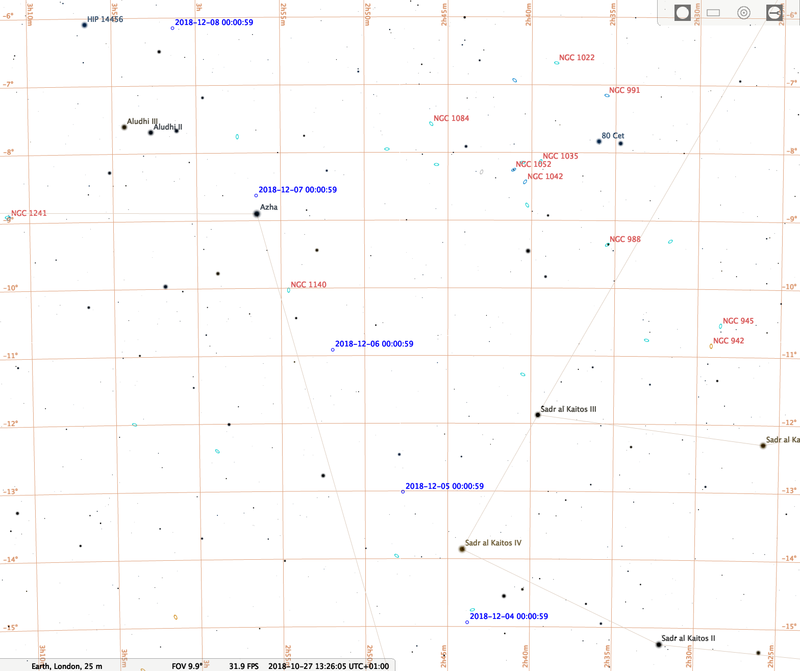 There are also two versions of each chart: one with white stars on a black background and one with black stars on a white background. 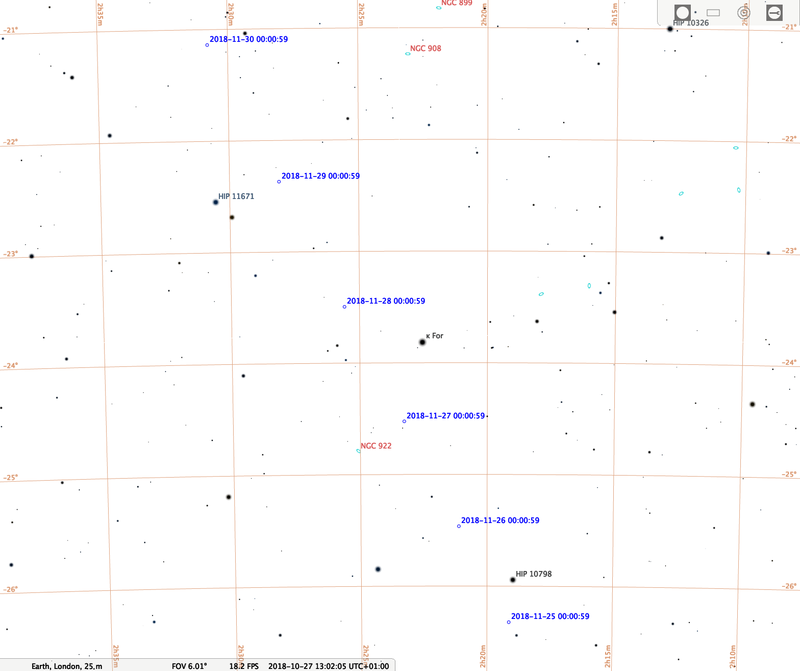 Summary view of Wirtanen's motion from November 2018 through February 2019. 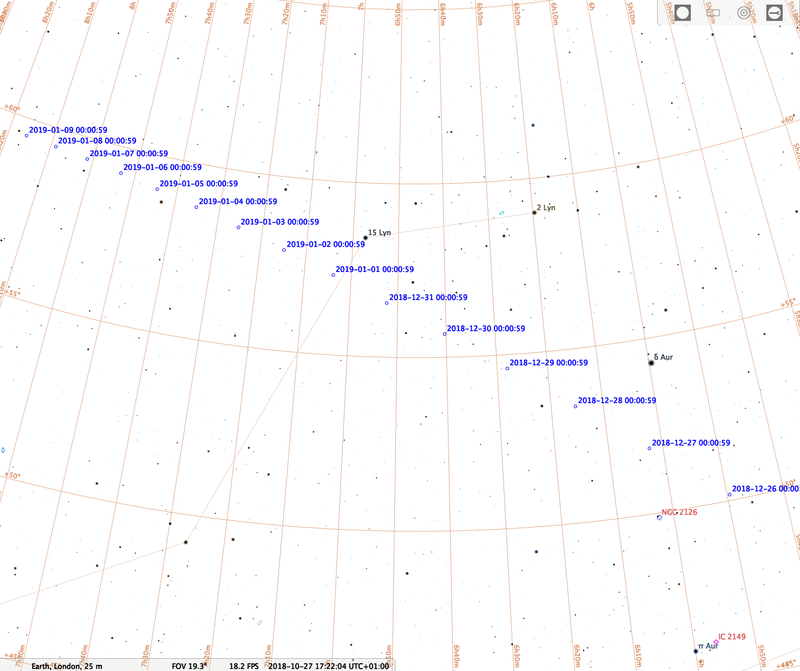 Use these charts to identify the stars in the sky around the comet, and star hop from patterns of bright stars to the comet. 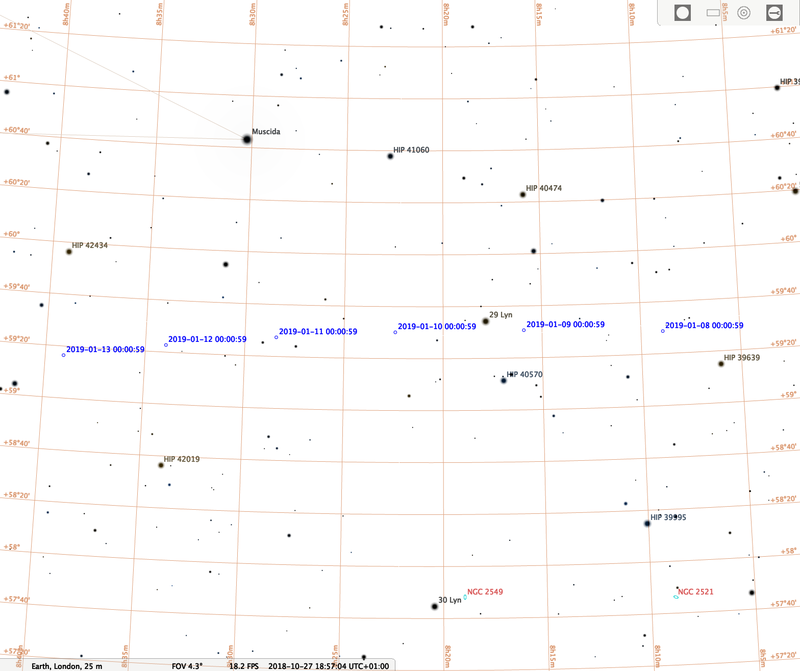 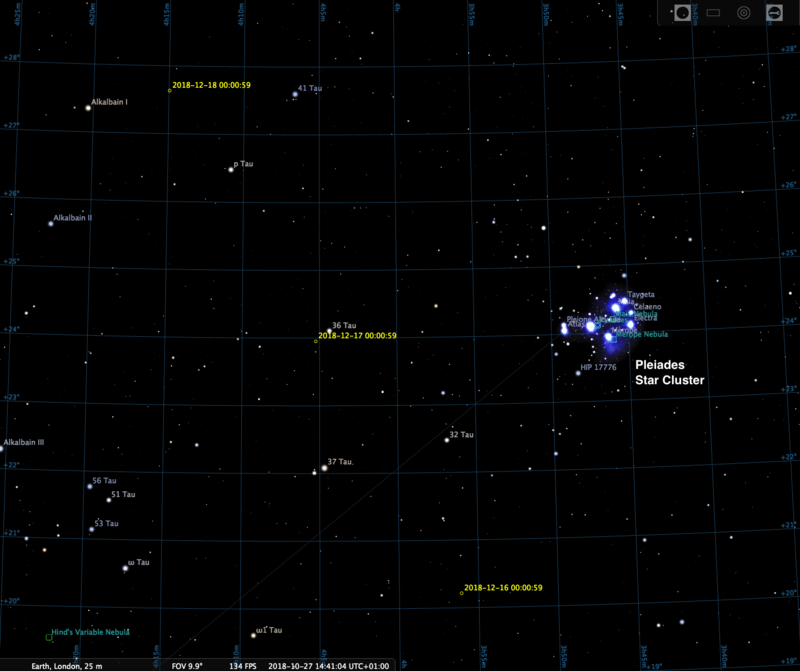 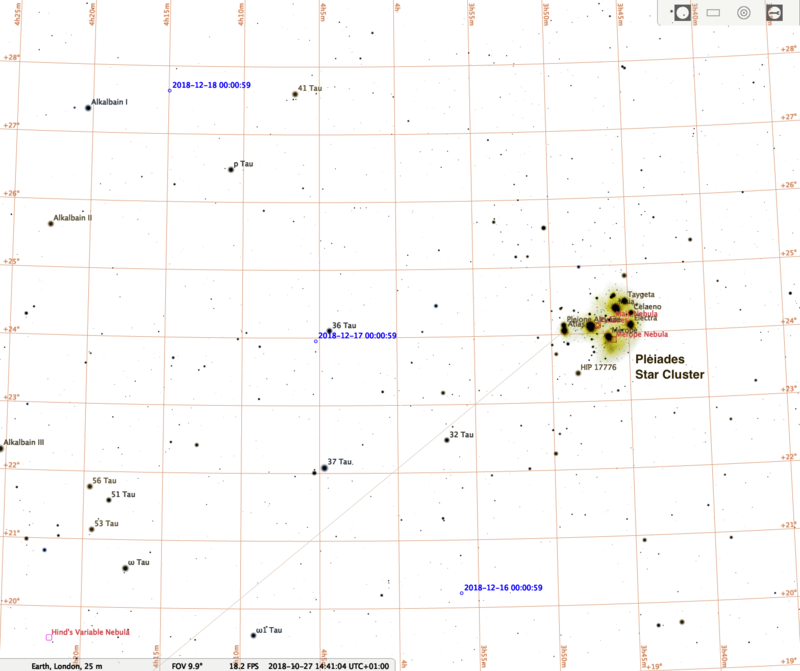 Note that at its closest approach (December 16), Wirtanen will be only a few degrees away from the Pleiades star cluster, which will act as a great pointer!